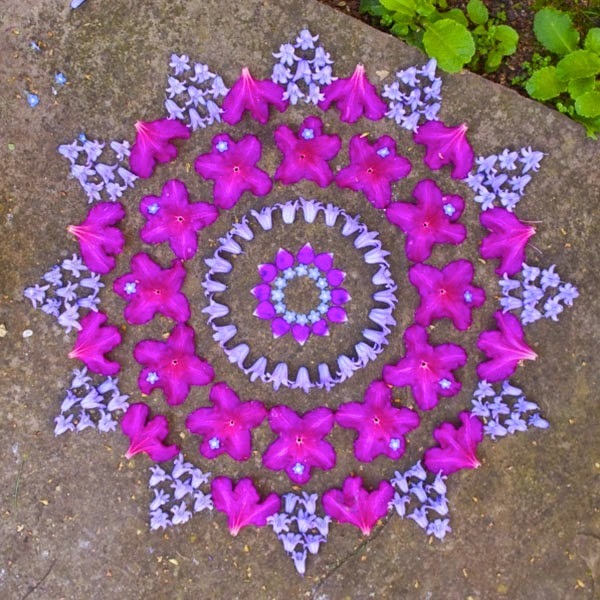 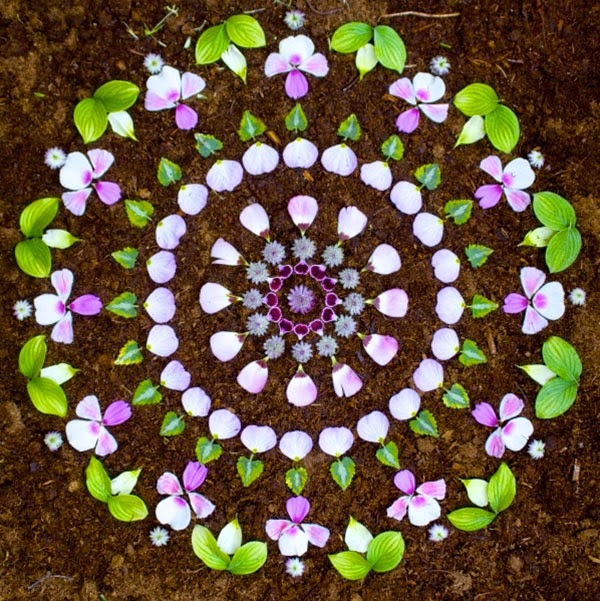 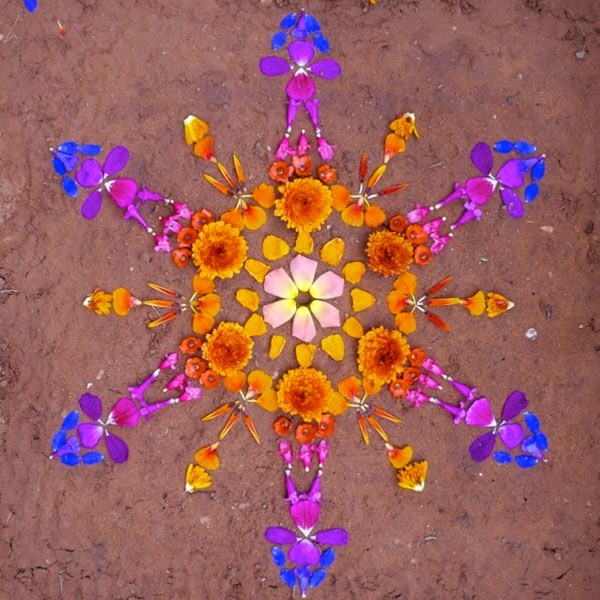 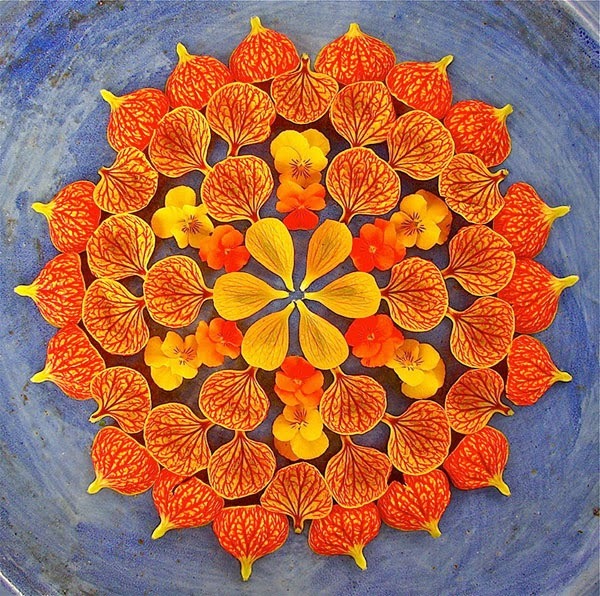 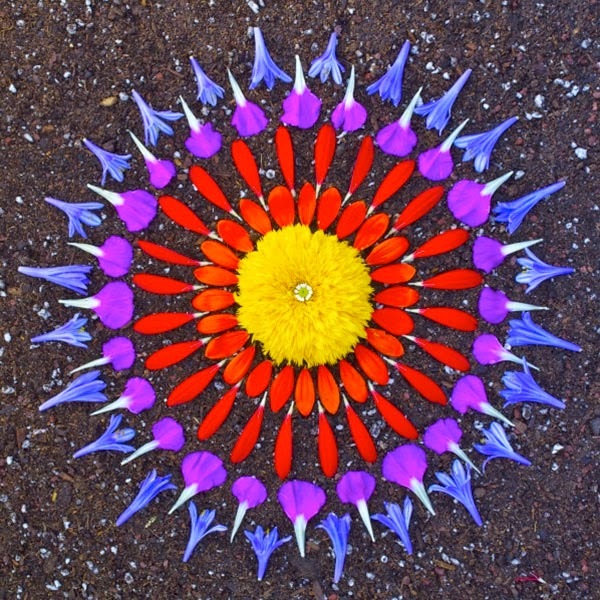 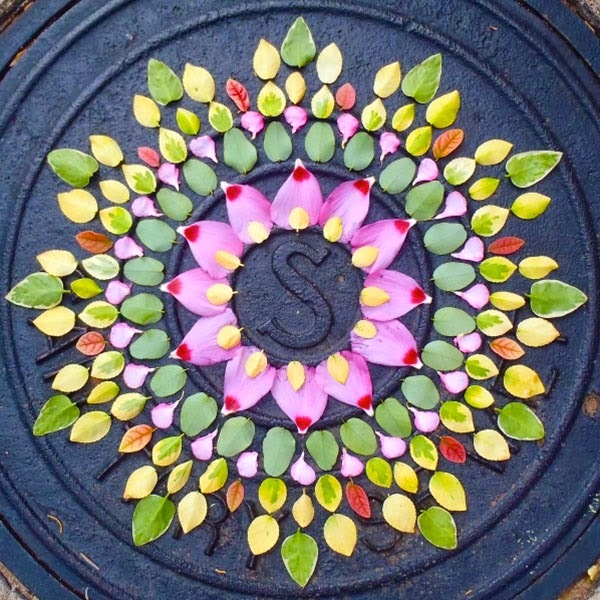 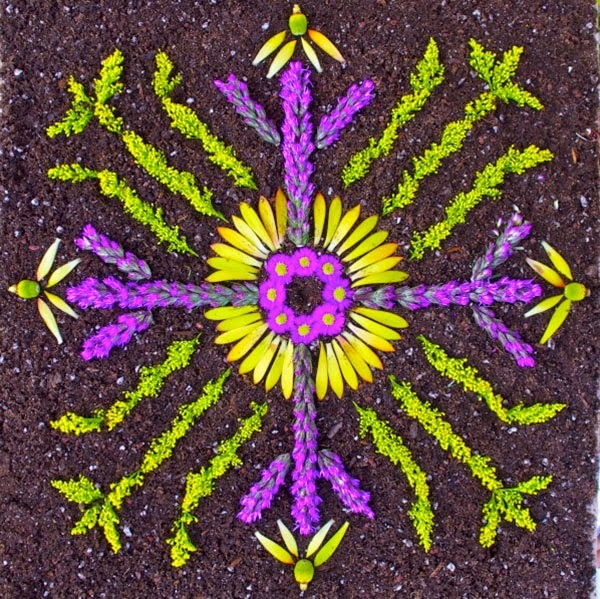 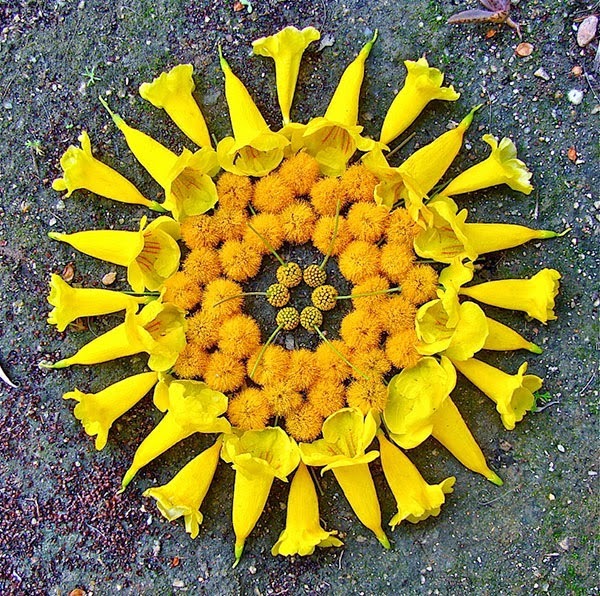 Colorful flower arrangements in the shape of mandalas. 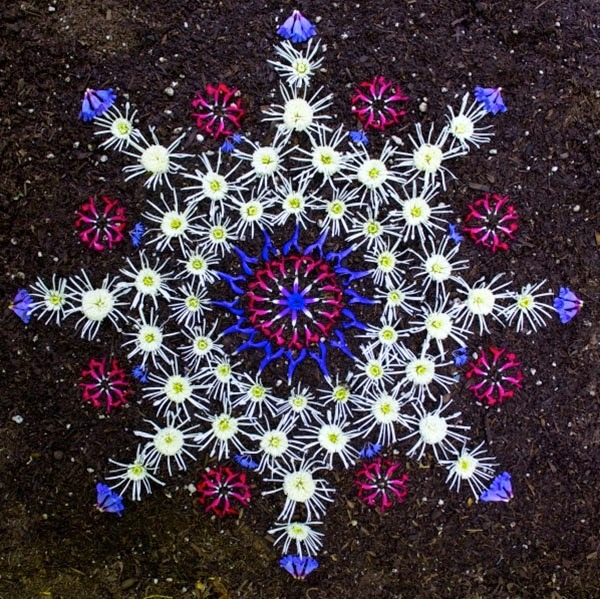 These danmalas, which means "the giver of flowers" in vedic sanskrit, are spiritual offerings that reflects the beauty and wisdom of nature. 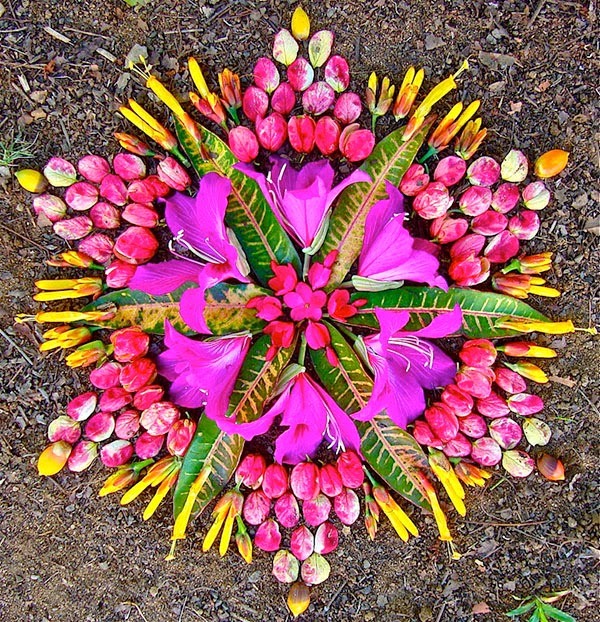 The flowers are gathered and arranged in a vivid color spectrum through guided meditation with each design being unique and governed by the rhythms of the seasons and the innate beauty of the natural world. 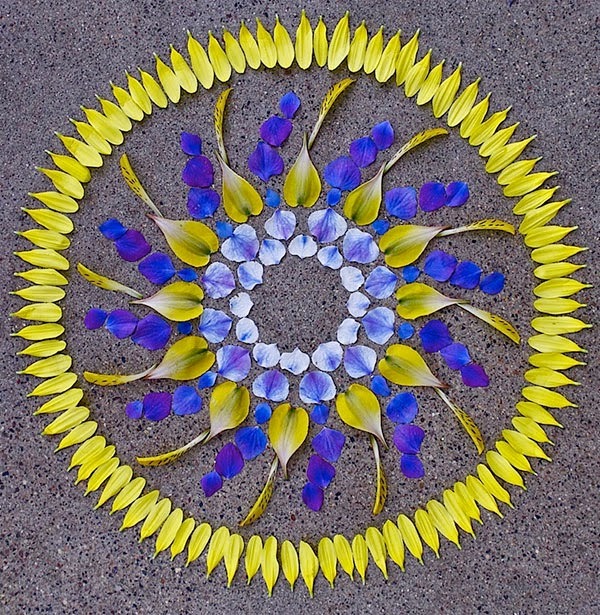 You can see more of Kathy Klein's work here.